Takeaway: With the holiday season just a few months away, toy brands should prepare their toy catalog marketing now by building a trusted central source of content and strong connections to retailers. There’s no doubt about the toy industry’s seasonality: water guns in summer, fidget spinners and flash cards at Back-to-School, and the yet-to-be-determined most-wanted toy this holiday. Because of the $20.4 billion industry’s dependence on seasons, the timeframes brands have to analyze sales and make changes is short. For example, the span of Black Friday to Christmas is only a few weeks, so no time can be wasted on laborious, manual product content editing processes. Right now, your digital content and experience goals should be to properly market your toy catalog to as many of the biggest online toy sellers – Amazon, Walmart, Toys“R”Us, Target, Kohl’s, and TrueValue – as possible. USA Today recently recapped the top 25 best selling toys of the holiday season last year. Even though you can't guarantee yours will be the hot item this year, your brand needs to have the flexibility to react quickly to emerging hot item trends and price and promotion fluctuations through seamless product content updates processes. Timing is everything during holiday and your need-to-hit-market-asap edits can’t wait for email answering and formalities. Direct API channels, like the ones we have with Walmart and Amazon, open doors brands rarely can access on their own, allowing you to publish entire catalogs and save tons of time and manual effort. When inaccuracies need to be fixed, seasonal details updated, and resolved quality control issues announced, your teams must be empowered to act quickly. This requires a plan and clear roles and responsibilities, especially when your creative teams might be everywhere in the world. A SaaS-based platform allows team members to log in from anywhere and make necessary updates, and ensures accuracy with permission levels and built-in workflows. As an added protection layer, running a readiness report quickly identifies any errors or gaps in your content, expediting your overall time to market and reducing the number of returns. Because competitive pricing influences this vertical more than set and specified MSRPs, brands must stay on top of pricing landscape and inform their retailers of adjustments as necessary. Due to the inherent reactionary nature, immediate editing must be accessible. Additionally, documenting who needs to be apprised of the changes and when will stave off miscommunication with retailers. As NPD explained, “The online channel continues to grow at the expense of brick-and-mortar, and the toy industry needs to address how to make up for the volumes tied to in-store impulse purchases – an important sales generator.” In other words, toys are generally occasion-based purchases linked to seasons and holidays, birthdays or showers, and essential purchases like diapers and onesies. For digital sales, product content can do a lot of the heavy lifting by loading the details with high-search terms that elevate products to the top of consumer search results. 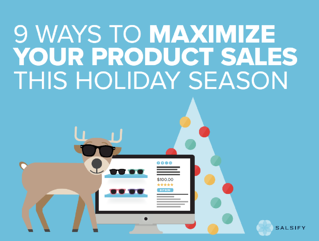 For additional ways to prepare for a profitable holiday season, download your free copy of our eBook: 9 Ways to Maximize Your Product Sales the Holiday Season.